by Melinda Gross for Thrive Market Thrive Market Organic Breakfast Blend and French Roast coffees aren’t your average joes! A lot of time and effort went into these developing certified organic, ethically sourced, sustainably harvested coffees. Both artisan blends are available as whole beans or ground—no matter how you brew them, their full-flavor profiles come through. We think they’ll quickly become the favorite part of your day, whether you’re looking to ease into your morning, tackle a big project, or get a quick afternoon pick-me-up. Here’s how we developed these special brews, from concept to cup—don’t forget to watch the video above, too! Like wine, coffee picks up distinct characteristics from its terroir, or the combination of elements contributing to its unique growing conditions (like soil quality, environmental factors, and climate). So the decision of where to source Thrive Market coffee beans wasn’t an easy one. 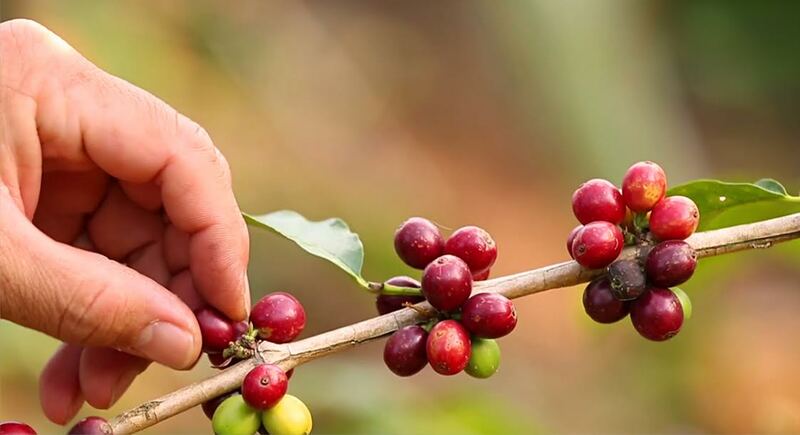 Our emphasis on certified organic beans helped narrow the field to Honduras, Peru, and Colombia—the most prominent origins for growing coffee without synthetic pesticides and fertilizers. After several sampling rounds, the team settled on Peru, and Thrive Market Coffee Partners Ryan and Brittany began meeting with trusted suppliers and visiting plantations to check on the conditions. “Many of our suppliers come from generations of coffee farmers so there’s something very romantic about visiting the origin site. You can see the whole lineage in the mountains and the trees. It’s really incredible to see how many people deeply care about this product,” Ryan says. “We only work with people we really trust,” Brittany says. “We know they’re taking care of their workers. We know that there aren’t going to be any pesticides, that our crops are clean, and our beans are fresh.” Once the beans were selected, the team’s focus shifted to developing ideal roasts for the two coffee flavors. The process entailed an exhaustive trial and error process of tweaking finish temperatures and roast times followed by sample taste tests called “cuppings.” Eventually, they found the perfect formulas for consistently balanced and flavorful brews. 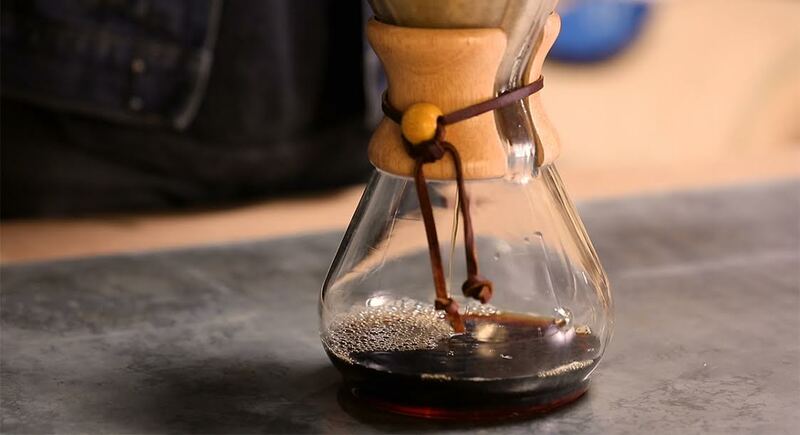 “We were looking to create a cup of coffee that’s accessible to everyone. It should have a unique taste with gorgeous robust and sweet flavors, and lots of different notes, while still being the kind of thing that you love drinking and look forward to having every morning,” Brittany says. 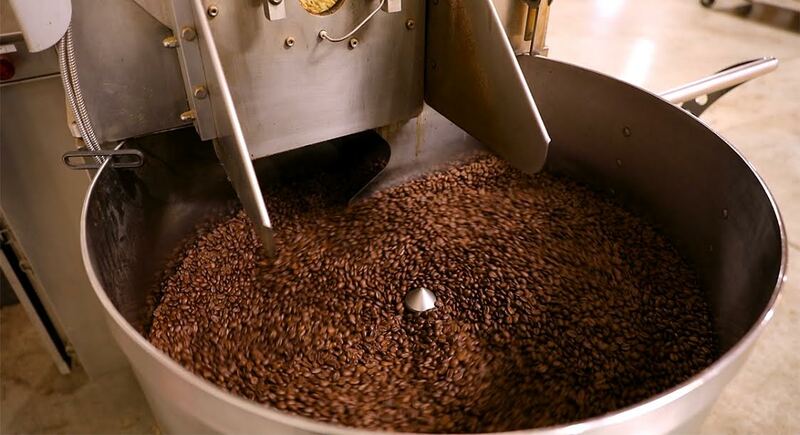 Thrive Market coffees are roasted in small batches to ensure freshness and consistent flavor. Each batch starts with 60 pounds of green coffee, which is poured into a roaster that’s been preheated to 500 degrees. The coffee beans drop the roaster’s temperature to about 150 degrees and heat is applied gradually depending on the desired flavor profile. The heat dries out the coffee a bit as the moisture evaporates, and the beans turn from green to yellow. Over the next four minutes, the sugar in the coffee seeds begin to caramelize, causing the seeds to pop, which is known as the “first crack.” At this point, the coffee is losing quite a bit of moisture weight and beginning to break down so the roasting team monitors it closely. Each coffee flavor has specific metrics for roast times and temperatures following the first crack. Darker roasts, like Thrive Market’s Organic French Roast, stay in the roaster the longest, while light and medium roasts (like Thrive Market’s Organic Breakfast Blend) are pulled out sooner. Thrive Market Coffee Master Roaster, James, recounts how an extra 15 seconds of roast time brought out the sweet caramel notes when he was experimenting with the Breakfast Blend. “It’s pretty wild how much of a difference a little bit of time and temperature makes,” he says. When the roasting process is over, a door opens, releasing the coffee onto a cooling tray equipped with fans and a mixer. Once the beans are cool enough to handle (about five minutes), they move from the roaster to the packing line where a portion are taken to the grinder. The rest head straight to packaging where they’re sealed into individual, 12-ounce bags.